Over the past three decades, Dennis Buttimer has been a coach, speaker and leader in the helping profession. With a rich background in employee assistance programming (EAP), corporate training, and healthcare, Dennis draws on his unique skill set to help individuals and organizations to be more productive in all areas of their lives. meditation and yoga as a teacher (RYT) . He customizes his holistic approach to meet the distinct needs of his clients. Dennis encourages and guides clients out of problem patterns into mindful performance, leading them to success. He has developed successful techniques and strategies based not only on his professional education and training but also on his personal experiences. 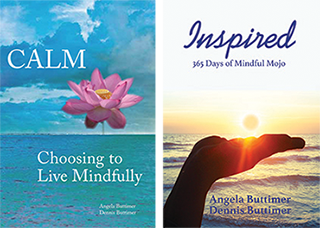 Along with his wife and business partner Angela, he co-authored CALM: Choosing To Live Mindfully (2011), and their latest book, Inspired: 365 Days of Mindful Mojo (2018). Together, they did a TEDx Talk, “Defusing Stress with Mindful Mojo” (2017). In 2012, he traveled the country teaching fellow professional about mind-body interventions for stress, anxiety and depression. 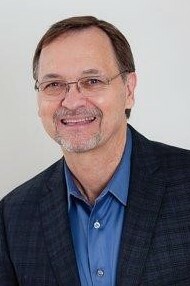 Dennis specializes in mindfulness and other research-based practices to help clients transform stress. He has worked extensively with individuals, couples and organizations struggling with difficult issues. He is a member of the International Coach Federation (ICF), National Speakers Association (NSA), Employee Assistance Professionals’ Association (EAPA) and Yoga Alliance (YA). Call (404) 949-9500 or email Dennis today to get immediate help for you or your organization! When action is strategically informed by a mindful, intentional focus, you and your organization are better able to cut through the noise and clutter to enjoy peak performance. Mindful Performance (MP) makes it possible to find the calm in the chaos. When leadership and employees reduce their stress levels and are healthier and happier, this directly impacts the bottom line of the organization. We call this the “return on mindfulness” (ROM). Stress is adversely impacting your organization and your bottom line. It is the #1 health epidemic in the country, meaning that it is affecting your employees’ mental, emotional, and physical health. This translates into a lack of productivity, inability to focus and perform, and poor communication and team dynamics. Leaders are under more stress than ever before, and they are being pulled in many different directions. A mindful leader is able cut through the noise and chaos and discern where to focus, how to delegate, and communicate with authority and empathy. They exude presence, are emotionally-intelligent, and able to create and sustain loyalty and high-performing teams. They are also more confident, innovative, and have a positive mindset. Leaders who utilize these principles and practices move quantum leaps ahead in their personal and professional lives. With Dennis’ corporate background, executive coaching, training experience, and a master’s degree in counseling psychology , he is considered the expert in behavior and dynamics in the workplace, particularly with leaders.